Our experts perform evaluations that explore all possible causes of neuropsychiatric disorders. Our neuropsychiatrists have highly specialized training and years of experience. We accurately diagnose the presenting problem so your loved one can receive effective care and support. Neuropsychiatric evaluations include a series of specialized tests that help us assess psychiatric disorders that often arise from changes in the brain. Our complete approach allows us to pinpoint the source of the problem and determine how serious it is. We use this information to develop a treatment plan that meets your loved one’s unique needs. 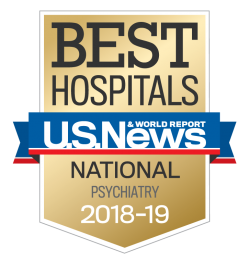 Our team includes doctors who have completed additional training through fellowships in areas such as neuropsychiatry, behavioral neurology, and older adult (geriatric) psychiatry. This training leads to a level of expertise that is unparalleled. Many people receive an evaluation and personalized care plan in one visit, but some people require follow-up visits. Our personalized approach means your loved one gets the treatments and support that best meet their needs. Medical history review: We review copies of any medical records and test results you can provide. Find out more about preparing for your neuropsychiatric visit. Observations from caregivers: We ask about your loved one’s symptoms and how they affect his or her daily life. Cognitive exams: We guide patients through activities that help us assess how their brain processes information. We measure areas such as memory, reasoning, communicating, and decision-making. Mental status exams: We find out more about your loved one’s thinking skills, daily experiences, and emotions. We may also ask questions about their understanding of their illness. Neurologic exams: We ask patients to perform a series of tasks that help us assess how their brain is working. These tasks may include things such as moving their legs in a certain way or writing with a pen. After the evaluation is complete, here’s what to expect. We develop a treatment plan tailored to meet your loved one’s needs. This plan may include medications or specialized cognitive behavioral or related therapy. Find out more about neuropsychiatric treatment. Sometimes, we need additional information to help us learn more about the problem before we develop a treatment plan. Imaging studies: Tests such as functional magnetic resonance imaging (MRI) help us learn more about activity and blood flow in the brain. Lab tests: We often perform blood tests to check for chemicals, evaluate blood cells, and look for signs of infection. On rare occasions, we may request a lumbar puncture (spinal tap) to rule out other conditions. Neuropsychological testing: Using a thorough array of tests, experts evaluate areas such as concentration, language skills, and how quickly the brain processes information.